Garmin Forerunner 735XT is a watch with a straightforward and standard design. Rather it has focused on its function that the structure of it. It has garish rubber strap as well as chunky physical buttons on the side of it. Forerunner 735XT has a 5 ATM rating, which means it can survive depths of up to 50m. This fitness tracker is light as well as thin that makes it comfortable and convenient to use. Forerunner 735 is far different from The Garmin ﻿﻿235. 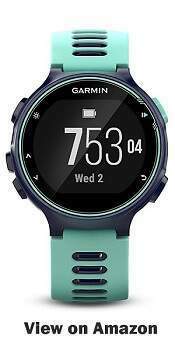 ​Garmin Forerunner 735 is the combination of a smartwatch, running watch, a fitness tracke​r as well as a watch for the triathletes. This Wristwatch is for them who looks forward to taking the tough challenge. ​If you search on Google to expand your knowledge ​about ​ GPS Watch, ​definitely you will find ​Forerunner 735XT as the most popular watch. 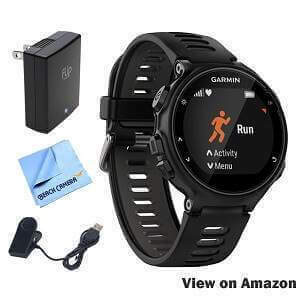 ​If you are looking for more information about ​​Garmin GPS Watch, go here right away. It is the world of gadgets and what we all are wanting is a product that has a lot of features in it. We are all running behind making the life an easy task and Garmin ​735XT does this to a great extent. This watch is far from the fashionable criteria because of the physical combination of it. You are provided with two color option either Midnight Blue/Frost Blue or Black/Grey finishes. The thickness of this fitness tracker is 11.7 mm. Interestingly, the screen of this watch is not touched enable rather it is controlled by the physical buttons. 24/7 Heart rate Monitoring Watch. Screen protectors are compatible with Garmin. Not comfortable to wear at the time sleeping. Prices are little bit expensive. Your routine is anything but routine. Forerunner 735 has a 5 ATM water rating, and according to this, you can use this watch while you are swimming and showering. You can stop worrying about your watch while it is raining out and wear it to your training sessions. The watch’s optical heart rate monitor won’t work if you’re swimming, but you can wear a compatible chest strap HRM to collect that data during your swim.. The ​735XT has a big watch face that is 215 X 180 pixels. Like the other Forerunner series, this watch even has a screen that is flat at the bottom as well as the top whereas it is rounded on the sides. The display provides a lot of information before and after your workout. Interestingly the display is easy to read, even though it is sunny bright. It is not a touchscreen watch, but it has a complete sense as it is designed to be worn even while you are swimming. The button at the sides of the watch is the label for the purpose of better usage. Hit the Down button on the watch to cycle through the watch’s various screens, which include heart rate, a summary of daily activity and a summary of your last saved workout. Another interesting feature that you figure out in this watch is the Garmin Connect App; with this app, you can get access to the calendar events, weather and any notification from the phone. You just have to enable Forerunner 735 on the app. This fitness tracker watch is highly beneficial for the serious athlete rather than commoners. As like other Garmin devices, the Forerunner 735XT has a red bar in its display that reminds you that you have not registered any step for the last 2 hours. While this red bar disappears after a short walk. This is a device that aims for fitness in all aspects. It has the feature of multitasking. Today, I started my walk with waiting for the GPS signal as I was in a hurry. The watch has recorded the distance as well as pace I was covering, and on the other hand, it was even searching for the GPS signal. Later I find a notification that it had found the signal and I was with the up to date information. 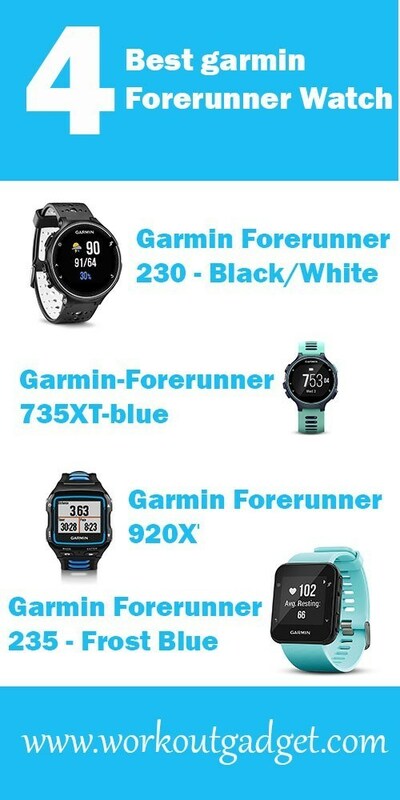 There are lots of videos are available on Youtube about Garmin watch. This is an excellent feature of Garmin 735XT. This watch is so convenient in use that it thinks of your comfort level even in the case of the display. It changes the color of the display as well as text. For instance, the display switches from white text on a black background to black text on a white background. To attain the right result of accuracy, it is essential that you wear the watch 5 minutes before your workout. When I had used this watch for the first time, the forerunner projected my heart rate about 30 beats per minute which is a bit higher than the normal. But after an hour of use, I realize that it is now recording the heart rate as normal. So wear it in advance for better results. 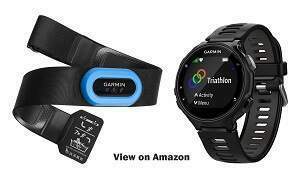 If you compare this watch with Garmin GPS Watch definitely you will some crucial differences. Click here to get mote details about this amazing watch. The Gamin Forerunner 735XT provides you with the data of workouts; calories burned elevation as well as run cadence. While you record the information of your recent workout, the forerunner will tell you that if you have set out your record. Meanwhile, The Garmin Forerunner 235 also one of the best fitness watch to track your workout. ​Click here to get more information about Garmin Forerunner 235. There’s also a Training Effect number, which uses your heart rate to measure the intensity of the exercise. It will indicate if you are simply maintaining your fitness level or improving it. Overall, the Garmin GPS HRM is somewhat accurate. On a 6-mile run, it measured a peak heart rate of 187 beats per minute and an average HR of 157. Compared to a peak of 165 and an average of 142 on a Polar chest strap heart rate monitor. Things were better on a second run when the watch measured a peak HR of 190 and an average of 160 for 10 miles, compared to a peak of 184 and an average of 166 for the Polar device. There’s a lot of information to view on the Forerunner 735XT itself, and it can be overwhelming. To view it all, I found the mobile version of Connect easier to navigate than the browser version. The browser crams several modules on the screen at a time, while the mobile app allows you to swipe from one module to another. To get in-death review, WorkoutGadget can be your best company. ​The Forerunner 735XT is featured with the most attractive, traditional eye-catching and ergonomic shape with the highly comfortable and soft silicone bands. It is built to support in cycling, running, swimming, hiking, and multisport, strength, xc skiing, cardio and paddle sports. Garmin 735 watch is one of the superb multisport-capable watches that will help you in many ways. You don’t need to worry about it weights, Forerunner 735XT is highly appreciated lightweight sports. Without any doubt, you will get some extra benefits from this amazing watch. “It can be called as a semi-smart watch with an addition to a fitness watch. The Gamin 735 provides you with the up to date info on your social media messages, texts, and calendar events. So on that, you receive on your phone while you set up to receive notification. Notifications were easy to set up. When you are wondering for heart rate monitoring watch, then most welcome, because you are in right place. Forerunner 735XT is such a dynamic fitness watch that will monitor your heart rate in 24/7. 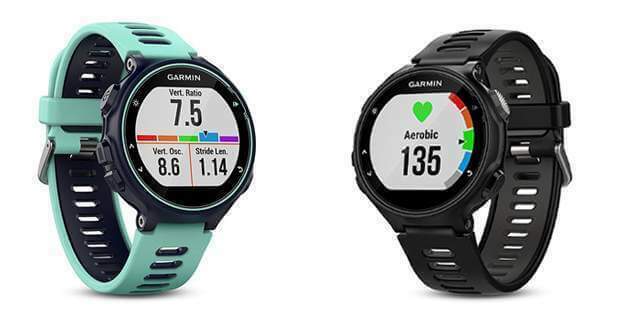 Garmin 735 is such a versatile fitness watch that will make you connected with all latest features including music controls, audio prompts, Live Tracking, social media sharing and smart notifications. So, If you an athlete and searching something better than others then you might choose Garmin Forerunner 735XT watch. The Garmin 735XT is a serious triathlet's watch. The watch includes the features you would expect in a smartwatch, from a step tracker to Smartphone notifications. Everything you get with the Garmin Forerunner735XT can be a bit much. That said it’s easy to use the Garmin watch Connect app to customize your experience, and the performance and accuracy are hard to beat.